Posted on November 15, 2011, in School Assignments and tagged Chase McFadden, Leanne Shirtliffe, school writing, Stuff Kids Write, Stuffkidswrite.com, Susanna Morgan. Bookmark the permalink. 7 Comments. Good thing he likes collecting pennies since he’ll need them to finance his partying! Too funny! I needed this chuckle today, thanks! The Ronny’s Market part kills me. 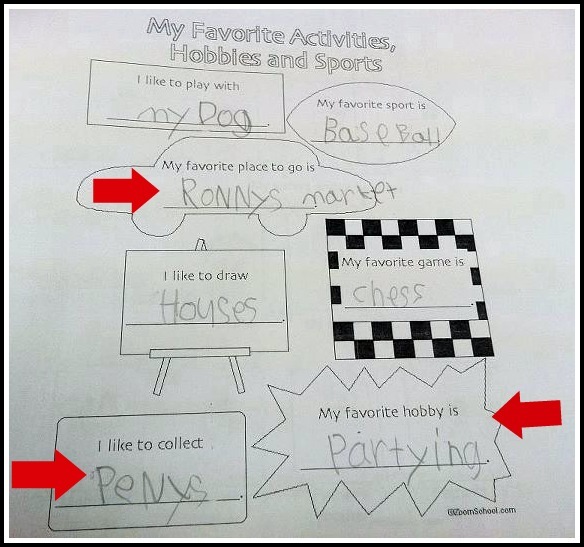 I can actually picture one of my friends writing that when they were a kid. Thanks for the laugh.